Guys, Chris (L.) is proposing on the dev list some new Spice derivated xyz files for the Cassini default addon (download here, caution, it's only a test!). I tested the stuff and re-discovered the Cassini model. Not that the model is bad, but what if we go for something a bit more realistic? I haven't dig yet but I suppose there must be tons of photos available so perhaps it can be a refreshing break after Apollo? Not that the model is bad, but what if we go for something a bit more realistic? I haven't dig yet but I suppose there must be tons of photos available so perhaps it can be a refreshing break after Apollo? Have you tested the above link from Chris? Can't be more detailed. Just do a search ! 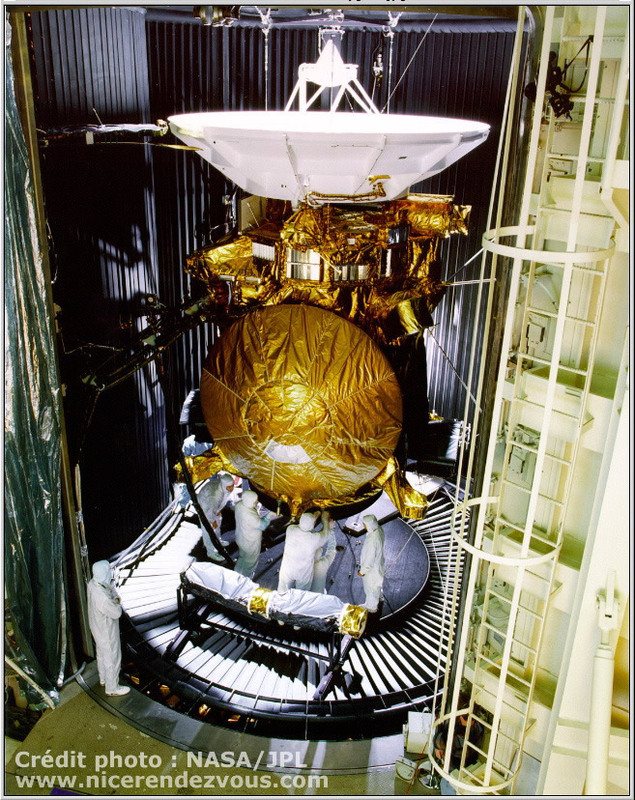 Also, I know Jestr spent a lot of time working on a detailed model of Cassini using those models as a basis, but didn't get so far as to be willing to release it publicly. You might try contacting him. Don't remember this one... From ML? Tx for the tips, I'll dig those models and see what happen to Jestr's model. For shame... Features Runar's work too. The model I have isn't the same as the one in Runar's addon. I think it's from Jestr (probably given to me by email a long time ago). It's much MUCH better. Actually, from my point t of view, Jestr's version is perfect (there's even some normal map applied to it). Personally, I'm not interested in a foild version, since Jestr's is showing all interesting parts and instruments. Cham, could you please show us more screenshots of Jestr's Cassini model? You are correct Martin. The model on that "other" place is NOT as detailed as the one you have. I simply did not know that their was a better one available. Maybe I should contact Jestr again!